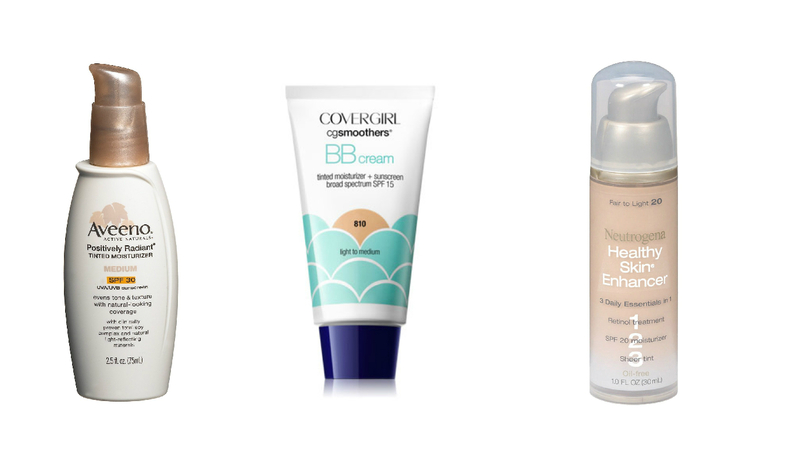 makeup monday: the best cheap (and not so cheap) tinted moisturizers. As you may know (or you may not), I’m a big fan of changing up my beauty routine on a fairly regular basis (my bank account knows this best of all…sigh). Aside from following new trends and trying new products that come on the market, I think there’s also a seasonality to makeup — what you’d wear in November isn’t necessarily what you’d want to wear come April. So as my thoughts turn to spring and all the light and fresh and new that comes with it, my beauty choices tend to follow suit. Enter tinted moisturizer. This is the perfect time of year to leverage this wonder product for so many reasons: it provides lightweight, sheer coverage that gives the skin a dewy look; it tends to have higher SPF than more full-coverage foundation, which is a must when you start to spend more time outside; and it hydrates your skin without clogging pores because at it’s core, it’s still a moisturizer. It also suits a multitude of skin needs with readily available options for hydration, anti-aging, firming, oil-free, the list goes on. Tinted moisturizer is also not a product that requires you to spend beaucoup dollars to find a brand that actually performs. While I find the pricier products have more positive long term effects (higher quality ingredients = higher price tag), I have been very satisfied with options at a more wallet-friendly price point. The following are my top three high price and low price brands and why I like them. With so many great options available, there’s a perfect match out there for everyone! 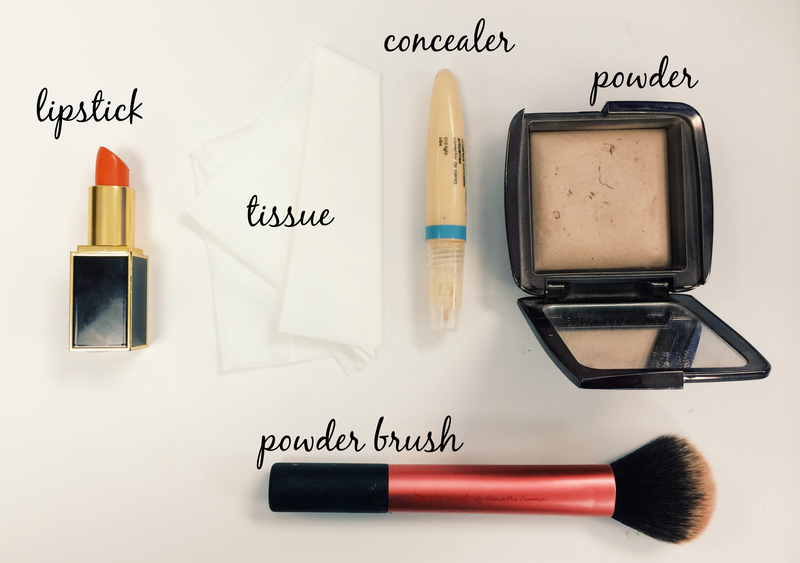 Of the options that you might find at a drugstore (or my favorite low-price beauty destination, the magic that is your local Target), these three really do the trick. I find that all of them provide natural, even coverage, and they make my skin feel hydrated but not overly greasy. The Aveeno option has the highest SPF and is the best option if you like beauty products made from natural ingredients. The Cover Girl option is the most moisturizing of the three, a great choice for those with dry skin, and the Neutrogena is good for more oily or combination skin or if you’re looking for an option with anti-aging properties (aren’t we all). 1) aveeno positively radiant tinted moisturizer, $17.49. 2) cover girl cg smoothers bb cream, $6.99. 3) neutrogena healthy skin enhancer, $11.99. If you’re willing to spend a bit more on your product of choice, these three options will pay off in spades. I find all three give me a smooth, even, dewy complexion, and the coverage lasts throughout the day without needing to reapply or touch up. The Dr. Jart+ option definitely provides the fullest coverage of the three (in the best kind of way), which makes sense being a BB cream vs. a tinted moisturizer (typically BB creams fall somewhere between true foundation and tinted moisturizers on the coverage spectrum). It’s also going to be your higher priced all-natural option. The Estée Lauder is my go-to when I want to look slightly tanned; the formula matches to your skin tone and imparts this amazing sun-kissed glow that’s almost like actually going to the beach. Almost. And the Laura Mercier is the true workhorse of the bunch — it’s been around forever, gets rave reviews from everyone, and offers the broadest range of shades I’ve ever seen for a tinted moisturizer. It also comes in a variety of different formulas to suit your specific skin needs; basically if you want it, Laura Mercier has it. All three options are great for all skin types (though the BB cream probably works best on dry skin) and all are well worth the greater investment! 1) dr jart+ radiance beauty balm, $42. 2) estee lauder day wear sheer tint, $48. 3) laura mercier tinted moisturizer, $43.